Nursing can indeed be one of the most rewarding professions in the country. As a nurse, you will be on the frontlines of caring for patients, both young and old, and can derive a great deal of satisfaction from your work. If you are the type of person who wants to make a difference in the world, nursing may be just the job you are looking for. Find out how to become a registered nurse and start making a difference. As a nurse, you will be a part of the largest sector of healthcare employees in the United States, and you will have the potential to earn a wage that can support yourself and your family, while still maintaining a life outside of work. People are drawn to nursing for a variety of reasons. Some of you may want to work with a certain segment of the population, like babies or birthing mothers. Others are enticed by the three day a week work schedule. Maybe you are like many others who always knew that nursing was your calling. Whatever has led you to want to become a nurse, rest assured that you have come to the right place. 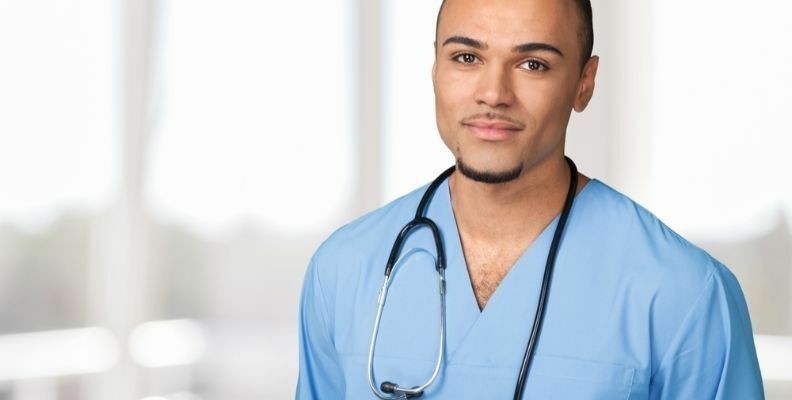 At BestNursingDegree.com, we are dedicated to providing you with the resources you need to find the right nursing school, helping you with the enrollment process, and giving you an idea of what to expect once you graduate. If you already know what kind of nursing program you are looking for, simply contact the schools you see that match your criteria in order to get more information. What Kind of Nurses Are There? Now that you have decided you want to be a nurse, you will need to choose between becoming a Licensed Practical Nurse (LPN) or a Registered Nurse (RN). These are the two main types of entry level nurses, and each has a separate type of schooling and licensing process. If you start off as a Practical or Vocational Nurse (LPN/LVN), you can plan to spend about a year and a half in school, after which you will take the NCLEX-PN exam in order to qualify for your nursing license. LPNs have slightly restricted privileges, when compared to RNs, so you may want to explore this route if you plan to work in a nursing home or retirement community, or in a clinic setting as many hospitals no longer hire LPNs. You can still become a Registered Nurse down the road, by going back to school for your ADN or BSN degree, as there are hundreds of LPN-to-RN degree programs that allow you to do this. Becoming an LPN may be the fastest route to enter the profession, but advancement opportunities are limited without expanding your education. If you want to become an RN, you can look into Associate Degree (ADN) programs or schools that offer Bachelor’s degrees in nursing (BSN). An ADN program will take you at least two years, and a BSN will require at least four years of school, depending on whether you attend full or part time. Both routes prepare you to take the NCLEX-RN upon graduation, which is the exam you must successfully pass in order to apply for a Registered Nurse license. While both routes can provide you with the nursing education you need to safely care for patients in most any setting, employers may favor applicants with a Bachelor of Science in Nursing degree, as studies have shown that health outcomes improve when a nurse is baccalaureate prepared. What Kind of Nursing Bridge Programs Are There? If you already have a degree in a non-nursing field, there are several nursing programs across the country that allow you to use an accelerated route to enter the nursing profession. There are both undergraduate and graduate level programs that allow you to apply your previously earned credits to a nursing degree. These are commonly referred to as Accelerated or Direct Entry Nursing programs. You can find a full listing of all your options for getting your second degree in nursing by exploring the programs listed under Bridge Programs on our site. As a rule, you should try to contact multiple schools when you’re looking for a nursing program. Like with many other things, the way to find the best nursing degree program is to spend some time shopping around. There are very meaningful differences between the programs in terms of cost, admissions requirements, and curriculum. What kind of nursing bridge program should I look for? Jennifer L.W. Fink, RN, BSN is a professional freelance writer with almost a decade of experience as a Registered Nurse. She’s worked in both hospitals and nursing homes as a med-surg, geriatric and transplant nurse. Her national publication credits include Parents, RN, Ladies Home Journal, Nursing Spectrum, Pregnancy and Journal of Christian Nursing. Expert Advice: I have a Bachelors degree but I’m not a nurse. Now what? Congrats on your decision to pursue a new career! As a mature adult, you bring a lot of strengths to your nursing career, even before you begin. And your previous academic experience doesn’t hurt, either. Unlike many just-out-of-school nursing students, you already know how to study and prioritize your time. Begin by looking for an accelerated BSN program (sometimes also called a BS-to-BSN or BS-to-RN program). These programs are specifically designed for individuals like you, who already hold one degree but would like to study nursing. Instead of starting at the beginning, you’ll receive credit for the general coursework you’ve already completed. Accelerated BSN programs are typically completed in 12 to 16 months and focus exclusively on nursing. Check the programs at various colleges and universities until you find one that fits your needs. Some people prefer to finish as soon as possible. If that’s you, you may prefer a 12-month program to a 16-month program. Different schools have different admission requirements as well; some require a 3.0 GPA while others require certain grades in certain classes. Ask what the program includes as well. Due to the short nature of the programs, almost all accelerated BSN programs include clinical experiences in the first semester – some as early as the first week! A few colleges now offer online accelerated BSN programs. Students complete all course work online, but complete their clinical rotations in their home communities, under the supervision of nurse preceptors and faculty. Online programs may also include an on-campus requirement at some point, so ask the college about specifics. Today, you have more options than ever before to become a nurse. Make some calls and get out there! Expert Advice: Why should I become a nurse instead of a PA, doctor, etc.? Chris O’Brien received her BSN from Auburn University and her Master’s inPublic Health degree from Emory University. With a background in cardiac care, home health, nursing research & education, and medical writing, she now enjoys the dual paths of being a freelance medical writer and yoga teacher in Decatur, GA.
Great question! Let’s start by talking about the differences between these three groups of medical professionals. As always time and money are important factors, so we’ll take a look at those first. You can become an registered nurse more quickly than you can become a physician’s assistant or doctor, but if you factor in graduate school and/or a doctoral program, then the time factor levels off between these three. Today more nurses are going straight through from a bachelor’s degree to a PhD like other professions, but this is a relatively new trend. The longer you’re in school the greater your educational expense, so going to nursing school and starting to work in an entry level job is the least expensive path, followed by becoming a physician’s assistant. Medical school is the most expensive route, but the earning potential is greater, so you can pay back any loans or other debt that you incur more quickly. Do you like to work independently? Do you want to have lots of options? There are more positions for nurses than there are for physician assistants or doctors, so you have the ability to move both laterally and also upward as a nurse. For physicians and physician assistants it is not always easy to change jobs. However, I do know doctors who change jobs, but they tend to work in public health, emergency medicine, and other clinical areas where building a patient base is not a factor. If you know you’ll need to move frequently then nursing is a great field because qualified nurses are in demand all over the world. Licensing issues always have to be addressed, however, so it’s not a total cake-walk to move and start working, but it’s less involved for nurses than it is for physicians in most cases. Physician assistants work under the license of a doctor, so they’re not able to work independently like nurses can. This is more important for advanced practice nurses/nurse practitioners who may want to work in a rural setting where there are no doctors, for example. So being a nurse or doctor provides more professional autonomy than being a physician’s assistant. However, many physician assistants have a great deal of day-to-day autonomy. They cannot establish their own practice like a nurse can, not without a physician who is working with them. Are you starting to get a sense of the differences? The focus of all nursing care is to prevent health problems by looking at situations from a holistic or whole person/whole community approach. This may happen in settings ranging from schools to prisons to workplaces and far beyond. Nurses evaluate, plan, and implement care that prevents future problems for individuals and populations in so many settings. In hospitals this means working with sick patients, providing highly skilled treatments with a caring approach. In home-health settings nurses provide highly skilled care and teach patients and their families how to maintain and improve health. In all cases a holistic approach is the backbone of quality nursing care.Modern medical care is organized by systems within the body. Cardiologists treat the heart, nephrologists treat kidneys, etc. This is not to say that doctors don’t look at the big picture, it’s just that they’re highly specialized and work in a more compartmentalized way, referring to other specialists as needed. This is known as the medical model of care, which also applies to physician assistants. Some exceptions to this highly specialized approach are family medicine and primary care; these doctors treat a wide array of diseases and conditions, referring to specialists only as necessary. Do you have a better sense of where you fit now? Contact schools to learn more. You can also check out this video to ensure that you have what it takes.